Robert Braden and Cyril Adams shot fine English shotguns for decades all over the world, and they are unashamed in their preference for an English-made shotgun. In this book they give the most complete description ever of the process of making a best-grade English gun from a lump of steel and a walnut tree trunk. Never before has this production process been described with such clarity, giving the reader a total understanding of what goes into such guns and why they are so expensive. 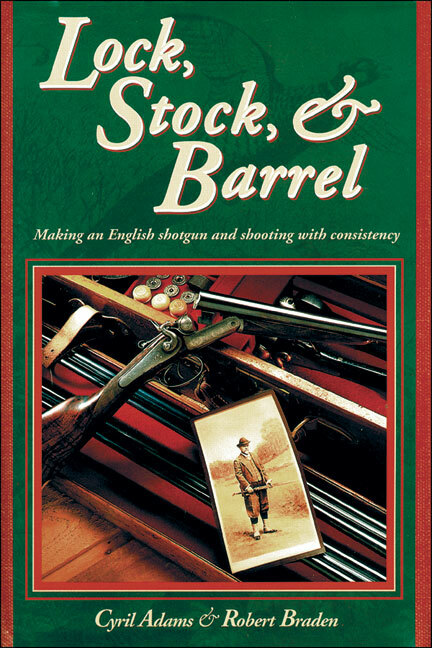 The second section of the book contains the most practical advice on consistent field shooting with a double shotgun. In addition, professional tips are provided on choke, shot pattern, shooting distance, and other technical aspects. This is a superb shotgun and shooting book that is a must for all who own and shoot such a weapon. Submit your review for "Lock, Stock, & Barrel"